Productive plants bear five large 5", dark green fruits. Orange-yellow flesh is sweet, nutty and has a smooth texture. Burpee bred and proven tops for performance, flavor, and wide adaptability. 25 seeds per packet, will plant 6 groups. Squash, Winter, Early Acorn Hybrid is rated 4.3 out of 5 by 4. Rated 4 out of 5 by SnowbeardFrank from Beautiful, but... Apparently the acorn squash seed looks much like zucchini squash seeds because I got one acorn squash (that got ruined by a bug with a large hole in the side) and tons of zucchini squash. 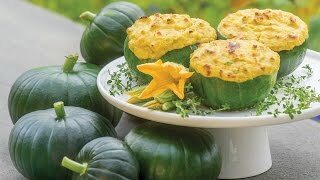 Yellow crook-neck squash has always been my favorite vegetable and the way my wife cooked the zucchini, it is now a close second favorite vegetable. I planted two seeds in three places in my 3' X 3' raised bed. 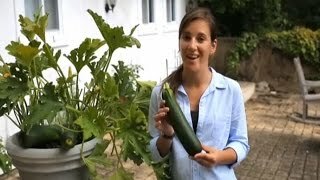 I probably would have had even more zucchini if I had dedicated the entire raised bed to it. Rated 5 out of 5 by Dave N from Bountiful Harvest - Early Acorn Squash Just picked the Early Acorn squash and had a nice 4 dozen or so in harvest of 6 hills. Really pleased with the size of these beauties as well. Exceptionally large and heavy fruits. Rated 4 out of 5 by cabal from Not really that compact, but good plants Like the other reviewer, my first planting in the spring yielded some fruit, which was real good, but got wiped out by SVB. I didnt really know much about Squash Vine Borers back then, but was better equipped for my second round. I have been picking off the eggs and injecting BT to affected plants, and my fall crop is doing well with some big nice fruit. But the plants are not all that compact. My larger vines are about 8 ft long or so. I have been letting the vines grow on the ground and burying them with dirt at places to encourage more root growth, and make them better resistant to SVB attack. Rated 4 out of 5 by RJHythloday from SVB wiped me out These plants grew really well, and set alot of fruit, unfortunately I was negligent in detecting SVB until they had really gotten a hold. Next year I'll plant these after mid July for a fall harvest and hope to miss the SVB, my pumpkins planted out for Thanksgiving pies have been good - but I'm told I can get a second hatching. Any ways I did get a couple to eat and they were great, also ate a few immature ones that were on the vine when I ripped the plants out. The semi bush was a bit misleading, I allowed a couple to sprawl and a few were sucessfully trellised. 5 plants were all the same size, one had humongous leaves and was the first to set fruit. The only ones I got to eat. They were all direct sown, expecting bush I thought they needed more space, I uprooted one and after 2 weeks of wilting and looking very sad it did recover and caught up to the rest in growth. Except it didn't catch the giant.